Gears Judgment already on Torrent sites! Grants owners a permanent double XP boost, among other DLC. Gears of War: Judgment will unsurprisingly be accompanied by an optional season pass that will cost 1600 MS Points and save players 20 per cent overall on the game's DLC. This makes it a third cheaper than the Gears of War 3 Season Pass, but it also saves players 13 per cent less. As detailed on Epic Games' official site, the Judgment "VIP Season Pass" will grant its bearers an exclusive permanent double XP boost, earlier access to multiplayer maps, and two add-on DLCs that contain six multiplayer maps, two new modes, five exclusive weapon skins and four unique armor skins. Gears of War: Judgment will launch exclusively on Xbox 360 on 22nd March in Europe and 19th March in North America. If you pre-ordered Judgment at GAME you get a multiplayer beta for a week before the game's release. Saw this earlier. Pretty interesting. Made me much more excited than I expected to play the game. Must say, I like the approach Bissell seems to have taken with what's going to be presented. I'm still on the fence(with regards to a "Day One" purchase), mostly because I'd given Gears 3 the last word on the franchise. But that video definitely did push it up on the list of interest. I'd like to hold off on purchasing Judgment for a little while, but I predict I'll be pressured to buy sooner than later out of respect for the tradition Slam & I have for the franchise. Maybe his new child-spawn will keep Slam preoccupied until I can find a cheap copy of Judgment. Epic Games has revealed details of an inventive new character coming to Gears of War: Judgment multiplayer. 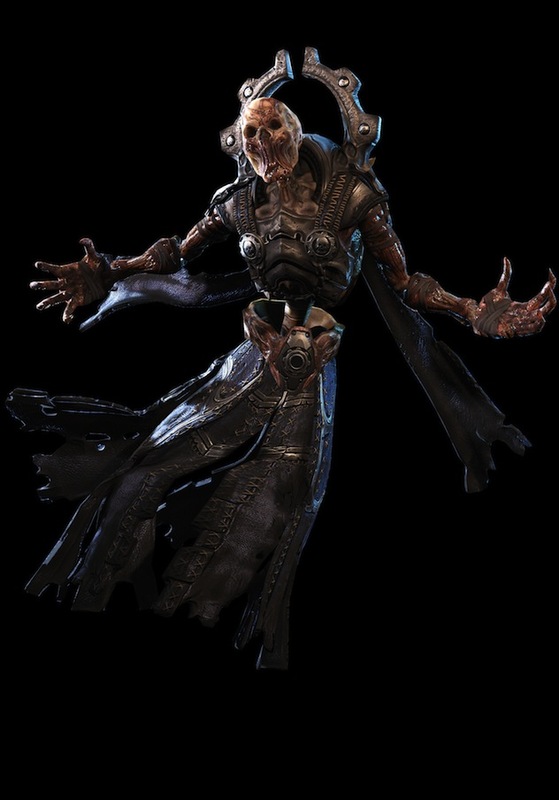 Called the “Epic Reaper,” the character is a gruesome looking fella with special abilities and physics making him extremely difficult to kill. The twist comes with the fact that each week just one player will be chosen to control the Reaper, based on their contributions to the Gears of War community. In addition to this the chosen player will also receive a set of custom Gears of War: Judgment dog tags. Meanwhile, those players that are able to bring down this formidable enemy will be rewarded with the Reaper medal and custom weapon skin. Epic employees will also have the Reaper skin available, so if you kill them, it will count towards the medal and skin. You can nominate someone to be the Reaper now, by either posting on the official Epic forums or using the Twitter hastag #GearsReaper. You can see an image of the Epic Reaper below. 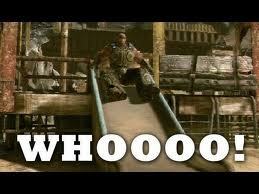 Gears of War: Judgment is out on March 19th in North America and March 22nd in Europe. Get the paintball weapon skin free, click on Trenches of Judgment from the following link. ------> I do love Gears MP. I watched the IGN live stream yesterday which featured the Reapers, they are very quick and seem to have extremely overpowered weapons, they were getting killed quite easily though so if we ever come across one it shouldn't be too difficult to kill one.